Zurcom International (Pty) Ltd is a trade facilitation and trade investment advisory services company. The firm benefits clients through information gleaned from the market as well as direct facilitation and representation to companies and governments. 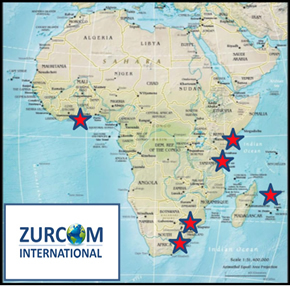 Zurcom assists companies to enter the sub-Saharan Africa and Indian Ocean islands markets successfully. We also assist firms to expand from this region, or any other region across the world. Our ties with the International Business Group allow us to assist with market penetration globally. IBG has offices in over 40 countries, providing access to most of the world’s markets.